Steve Vertlieb, Ray Bradbury, Erwin Vertlieb. Ray Bradbury and Steve Vertlieb in 2011. By James H. Burns: Today marks the 70th birthday of long time science fiction and fantasy, and film music historian, Steve Vertlieb! Born and raised in Philadelphia, Vertlieb has also been a long-time fan, and a frequent guest speaker at Philcon, and other science fiction-related conventions (including many years at Fanex, and Monster Bash). 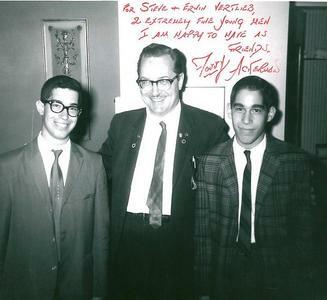 In 1965, Vertlieb received an invitation from Forry Ackerman to attend a gathering of Famous Monsters of Filmland‘s loyal readers in Manhattan. That small event, held in Ackerman’s hotel room, led to many lifelong friendships. A few years earlier, when an episode of the classic television series Route 66 was shooting in Philly, Steve and his brother Erwin — frequently, Steve’s partner in his pop culture adventures! — realized that filmmaking was indeed something tangible. Steve Vertlieb, Forrest J Ackerman, Erwin Vertlieb. By the end of the decade, Steve began a long devotion, writing about movies and music for such magazines as L’Incroyable Cinema, Black Oracle, Midnight Marquee, and Cinemacabre (to which he was one of the key contributors). He was also one of the original writers for The Monster Times, the classic, national newspaper format publication about the fantasy scene, debuting in 1972. He wrote what many consider the first fully comprehensive history of King Kong, which was soon reprinted in the book, The Girl in the Hairy Paw, and many times thereafter. 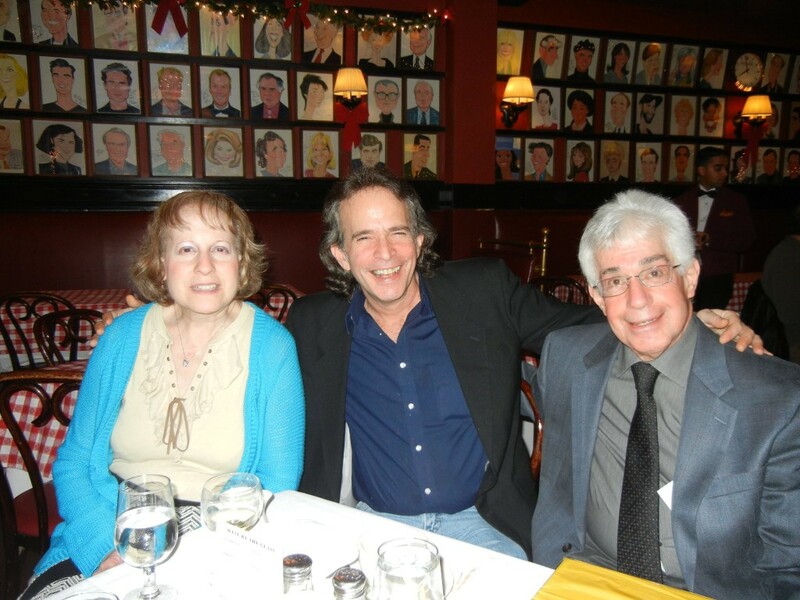 Vertlieb worked for a while in local Philadelphia television, as both a film editor and announcer, and continued to hone his skills as a movie reviewer and a connoisseur of movie music. 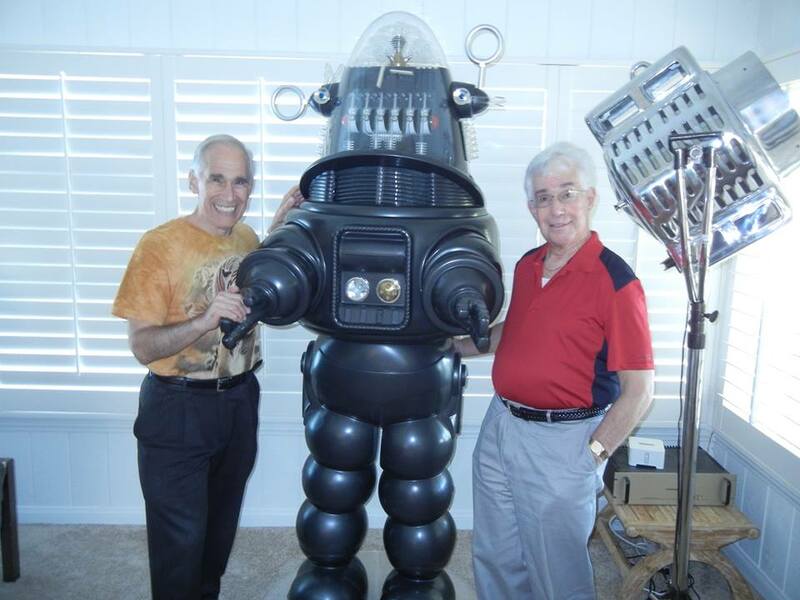 He also proceeded to develop long-term friendships and/or correspondences with some of his fantasy world heroes, including Merian C. Cooper, Ray Bradbury, Buster Crabbe and Ray Harryhausen. He’s also curated and programmed several prestigious film and film-music tributes, and contributed to several documentaries (including productions from TCM). Some of his best writing can be found at Barbara Peterson’s Thunderchild website. He’s also launched a new blog, Better Days, Benner Nights, and a new series of columns at Craig Jamison’s Gull Cottage. Vertlieb with long-time girlfriend, Rochelle Trust, and James H. Burns. Most importantly, of all the gentlemen I’ve met in our small world of those who have written professionally (for decades), about fantasy cinema and television, Steve remains one of the kindest, and most loyal souls I’ve ever encountered… Well, really anywhere! A new documentary about his lifelong pursuits has been in production, and is set to debut next year: Steve Vertlieb: The Man Who “Saved” The Movies, directed by the aforementioned Jamison. This entry was posted in Like Show Business and tagged Forrest J Ackerman, James H. Burns, Ray Bradbury, Steve Vertlieb by Mike Glyer. Bookmark the permalink. Thank you most sincerely, James, for this lovely and wholly unexpected tribute. It’s both nostalgic, and just a little frightening to see your life flashing by you in print while passing the sobering signpost of seventy years. Someone once remarked in film (it may have been Everett Sloane in “Citizen Kane) that life becomes not a little poignant when “you are nearer the end than the beginning.” It’s a mixed blessing, but a blessing nonetheless, to look back upon one’s life in reflected imagery. Thank you for the gift of your lovingly reflected image.